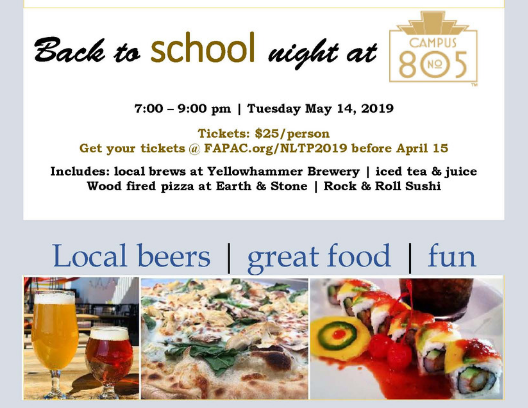 FAPAC invites the members and attendees of the 34th Annual National Leadership Training Program (NLTP) to attend a fun filled evening at the local Campus 805. Campus 805 is a former high school campus that has been converted to an exciting entertainment hub. It hosts breweries, restaurants, bars, retail stores, and entertainment venues, even an axe throwing place! Come out for food, fun, networking, and an opportunity to enjoy one of the highlights of Huntsville. A complimentary shuttle bus will leave from the Embassy Suites and bring people back. What does the Student Program include? Students can attend the student workshops from 9:00 am-5:00 pm, networking lunch, mid-day coffee break, and the exhibition hall from 8:00 am-5:00 pm. Who should attend the Student Program? Current high school, undergrad, graduate, and recent grads interested in a Federal career should attend. What should I bring with me? Attendees should bring a notepad, resume, business cards, and an open mind! 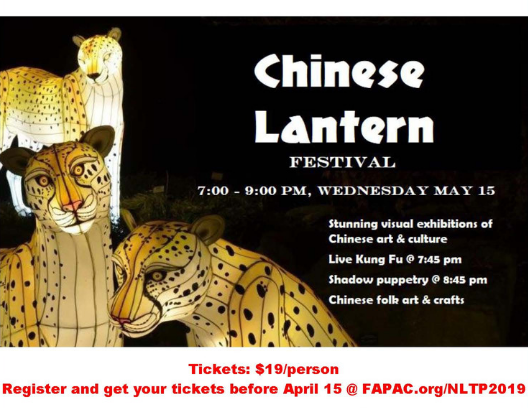 FAPAC invites the members and attendees of the 34th Annual National Leadership Training Program (NLTP) to attend a fun filled evening at the Huntsville Botanical Gardens for their Chinese Lantern Festival! This timely festival offers a stunning visual exhibition of Chinese art and culture and coincides perfectly with the NLTP. This event is normally priced at $27/person, but FAPAC is able to offer this at the low price of $19/person. Register now before tickets sell out! Please register by May 1, 2019 to reserve your ticket!!! May 16, 2018 Discover Historic Alexandria! May 16, 2018 FAPAC at the Ballpark! January 01, 2018 Career Development Program Application Deadline February 15, 2018. November 01, 2013 FAPAC One Day Leadership Training (1st of three series) - "Are You Tomorrow's Leader"
September 07, 2013 The 12th Memorial Concert "In Honor of Susie Kim"
August 24, 2012 "Writing a Winning Resume"
May 02, 2012 Yoga and Relax Session - "Success without Stress"